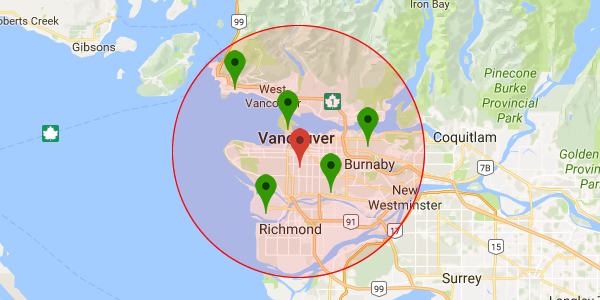 When searching your store locator, the Search Radius option affects which stores are shown. Stockist searches for stores based on their distance from a specific search point, not based on the geographic boundaries of the city or postcode searched for. This can be surprising but actually tends to give better results. 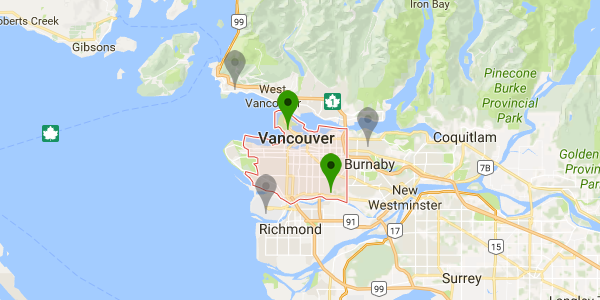 There are more stores nearby, however they aren't technically within the city limits. That search distance is called the Search Radius and can be configured on the Search Settings page of the dashboard. If you have fewer stores, a larger search radius is recommended to help ensure your locator shows results. On the other hand, if you have thousands of retailers you may prefer a smaller radius to ensure results are relevant.